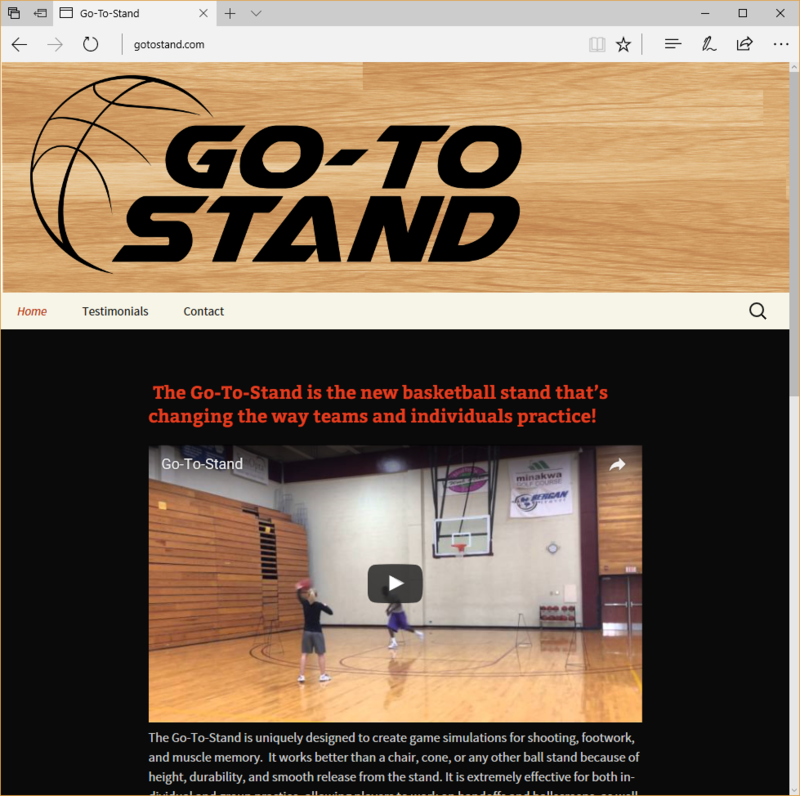 The Go-To-Stand is uniquely designed to create game simulations for shooting, footwork, and muscle memory. It works better than a chair, cone, or any other ball stand because of height, durability, and smooth release from the stand. It is extremely effective for both individual and group practice, allowing players to work on handoffs and ballscreens, as well as increasing player ability to catch and shoot at game speed. I was contracted to build a website for the company, one which builds the company’s brand and which leads to product sales. The resulting site has an embedded video, customer testimonials, clearly communicates the product’s benefits, and includes a call to action. As part of the website design, Landsverk and Associates also created a logo for the company, utilizing the talents of designer Ava Penner, a gifted designer from Minneapolis. It is a WordPress site which gives the business the opportunity to update the content on their own. We are very pleased with the website Michelle created for us! She really listened to what we wanted and did a great job of incorporating it into the website! We are very happy with her work.